Ialissos Family Holidays Low Deposit Free Child Places Ialissos @Web2travelDeals. Best Value Hand-Picked Holidays to Ialissos, Rhodes from UK airports Since 2000. Ialissos Holidays Free Child Places with Low Deposit. Check availability Free Child Places at Ialyssos Bay Hotel. Sidari Family Holidays have now become more popular as Top Tour Operators such as Tui, First Choice and Jet2holidays are now offering more Package Holidays to Sidari. 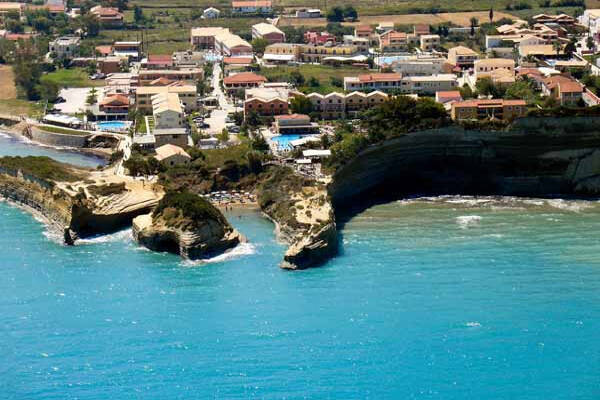 Sidari is located on the north east coast of Corfu. Holidays to Sidari generally rely on charter flights and package holidays, although some Low Cost airlines new fly to Corfu from the U.K. Therefore you can go to Sidari, Corfu between May and October. (Some Low Cost airlines start flights in April. The weather in April can be unpredictable, with rain likely, and possibly cooler temperatures. In May, as the temperature rises you should expect thunderstorms. From June onwards it’s getting very hot all summer. October can see the thunderstorms returning, cooling the air down a little. Golden sandy wide main beach with some small sandy bays towards Canal D’amour. Family activities are mainly beach based or around the pool. Regular buses are available for day trips over the hills to Corfu Town. Hotels are available for families, but Apartments are very popular for Family Holidays in Sidari. Find Sidari Hotel Reviews on individual pages.